The rova (palace) surveys the capital city from its highest point, recently partly rebuilt following a terrible fire in 1995. The original wooden palace was built by Frenchman Jean Laborde in 1839 – its exterior was later clad in stone by Scottish missionary, James Cameron. Take a tour of the compound to learn about Madagascar's dramatic royal history. Close to the capital, this is Madagascar's most accessible rainforest reserve, and also one of the most rewarding. Frogs, reptiles and birds abound, but top of the bill is the indri, the largest of all living lemurs. These creatures sing a haunting song (reminiscent of whale song), which carries for miles across the forest. This natural avenue of imposing Grandidier’s baobabs is one of Madagascar’s must-see sights. Located some 35 minutes from Morondava, on the dusty track to Kirindy Reserve, Baobab Alley is best visited around sunrise or sunset because the softer lighting brings out the red tones of the tree trunks and makes for a splendid photo opportunity. See the wonderful arts and crafts in Antsirabe: taking a pousse-pousse tour of artisanal workshops is the thing to do in this bustling highland town. Marvel at the skill of local craftsmen creating toys from recycled tin cans, wooden sculptures, zebu-horn jewellery, polished gems and minerals, embroidered tablecloths, silk scarves, raffia handicrafts and more. For almost half a century, this estate has been producing green tea (and black tea since 2004). The 335ha (828-acre) plantation yields more than 550 tonnes of tea every year, most of which is destined for Kenya. Guided factory tours take around one hour and end with a tasting. Dabble in the macabre at Ambalavao (the so-called "home of the departed") where the revered bones of exhumed ancestors lie. The spectacular crags of Ambondrome and Ifandana were the site of a mass suicide in 1811, though the region is also known for its Ataimoro paper and silk weaving today. Unique to Madagascar, the dry and inhospitable spiny forest of the far south is a most curious and startling ecosystem. All of its botanical wonders are perfectly adapted to this tough environment, often preserving precious water in their swollen succulent forms protected by vicious prickles. The strange waving fingers of octopus trees add to the habitat's otherworldly feel. Perhaps the most sacred site in all Madagascar, Ambohimanga (Blue Hill) was the original capital when the great king Andrianampoinimerina began his reign in 1787. The compound is a UNESCO World Heritage Site and comprises more than a dozen impressive stone gates, the king's house and various elegant royal summerhouses. Near to Tuléar, this botanical garden showcases some 900 plant species endemic to Madagascar's arid south. You'll learn about the plants and how they are used in construction, food and medicine. Birders will also find this place rewarding and there are some bungalows for those wishing to linger. Discover waterfalls, orchids and lemurs at Amber Mountain. This 18,500ha (45,715-acre) national park is the country's oldest, protecting some splendid montane rainforest. Ranging in altitude between 850m (2,790ft) and 1,475m (4,840ft), the mountain has its own microclimate. 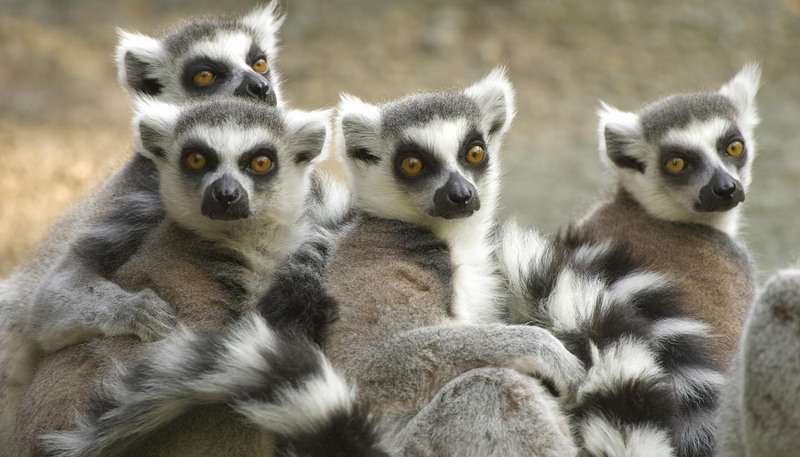 Sanford's lemurs and crowned lemurs are easily seen, as well as countless reptiles and birds. Grab your surfboard and hit the waves that break on offshore coral reefs to experience the island's little-known surf thrills. The surf at Libanona Beach in Fort Dauphin is suitable for beginners. Other top riding spots include Lavanono and Anakao, while the far northeast of Madagascar is the place for kitesurfing. Relax on the idyllic beaches in this isolated southwestern Vezo fishing village. On offer are pirogue (dugout canoe) trips to nearby mangroves and islands, including one that's home to the world's southernmost breeding colony of red-tailed tropicbirds. A day trip to the salt lake at Tsimanampetsotsa National Park is a must. Revel in the distinctively French flavour and ambience of Madagascar's history-rich capital. The quaint winding streets and vast markets are best explored on foot, but you can't go far without a steep climb – this city is built on seven hills. For the best views across all of Antananarivo, head to the area around the Queen's Palace. Delve into one of the most striking national parks on the planet. At Tsingy de Bemaraha, there are undisturbed forests, lakes and canyons – but top of the bill is the incredible limestone karst known as tsingy. These vast forests of limestone pinnacles make for a landscape unlike any other. Explore the lush, volcanic region of Ampefy, renowned for its spectacular geysers and waterfalls on the banks of beautiful Itasy Lake. Amidst rolling hills, the thunderous torrents of Chute de la Lily's cascades are an unforgettable highlight – but be prepared for a reverberating roar.